Today I am going to review a product that I have tried a long time ago. 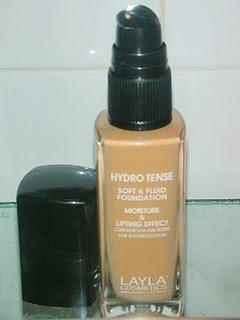 It’s the Hydro Tense Soft & Fluid Foundation by Layla Cosmetics, an italian brand that I love. The foundation comes in a bottle made of glass. The packaging reminds me Dior’sNude foundation. I like that. It is simple but still elegant and has a professional style. It contains 30mL of product and expires 12 months after you open it for the very first time. As for the price, it costs €16. But let’s talk about the most interesting part: the product itself. I’ve received the shade No3 which wasn’t the right shade for me at all (I think I need No2 or maybe a combination of 2 and 3). This one was a little bit dark for me. Ihave tried it a few times, without getting out of the house, just because I wanted to try it (it would be nice for summer days that I was tanned…ahahaaha). The finish is good, not heavy at all and gives a really natural look. I felt like I had no make up. The coverage is light, suitable for those who don’t have imperfections. So, not for me at all! As for the texture, it is liquid but really light and soft. I was more liquid that I expected. You’d better apply it with a sponge rather that a brush. I wish it was more creamy. It has a nice and discrete scent, too. It really hydrates the skin. 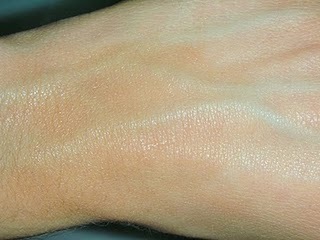 If you have oily skin, you’d better not use this foundation because it is oily and it might give you an oily effect. I don’t really go mad for this foundation. I wanted it a higher coverage and a product more suitable to my oily skin. Have you ever tried thie Hydro Tense & Fluid Foundation? How did you find it? Which foundation dissapointed you? Disclaimer: This product has been sent to me for possible review. That doesn’t change my opinion. I write my honest and true experience with the product regardless of how the product came to me. 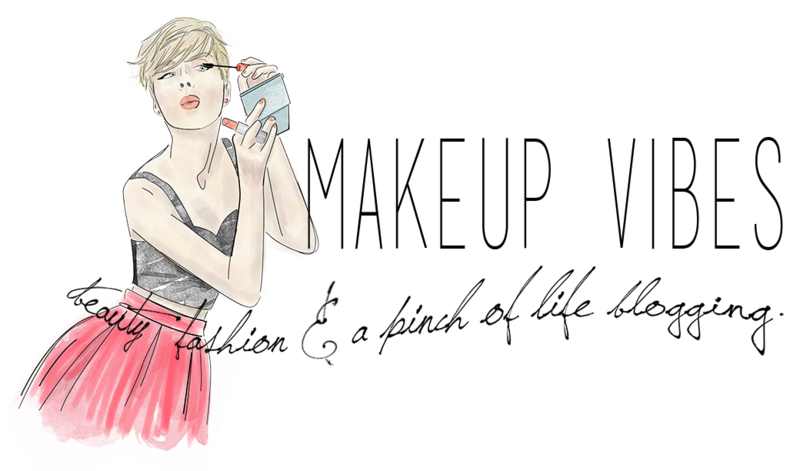 I believe I've never tried Layla cosmetics. I like its packaging and its price, too bad it doesn't give more cover!